What is National Siblings Day? Celebrate your brother and sisters today, as today is National Siblings Day. This is the day we get to recognize how special the people who grew up in the same house as us are. The US holiday was originated by Claudia Evart to honor the memory of her brother and sister, both of whom died at early ages. The Siblings Day Foundation was incorporated in 1997 and achieved non-profit status in 1999. While it is an official holiday, you do not get the day off for it. Official – but you don’t get the day off. 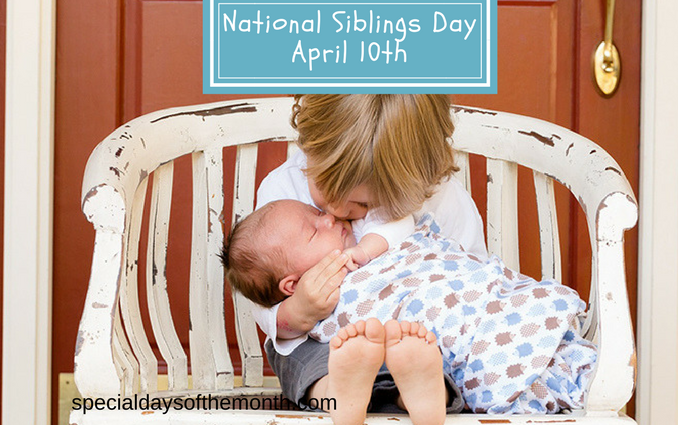 How can you celebrate Siblings Day? The most siblings with same birthday are 5. All 5 were born on the 20th of February in 1952, 1953, 1956, 1961 and 1966. The odds of this occurring are one in nearly 18 billion. In China there was a one-child policy untill 2015, which means it restricted urban families to having only one child.